The ideology of Ramakrishna Math and Mission (parent body of Vedanta Society) consists of the eternal principles of Vedanta as lived and experienced by Sri Ramakrishna and expounded by Swami Vivekananda. Vedanta is one of the world’s most ancient and inclusive religious philosophies. Based on the Vedas, the sacred scriptures of India, Vedanta affirms the oneness of existence, the divinity of the soul, and the harmony of religions. 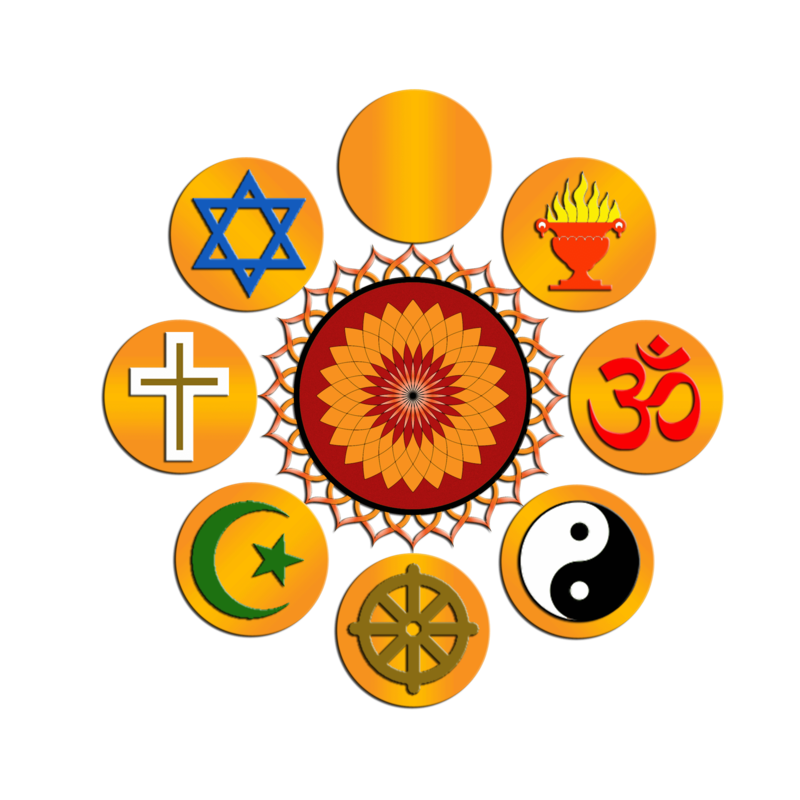 Vedanta is the philosophical foundation of Hinduism, but it is universal in its application, being relevant to all countries, all cultures, and all religious backgrounds of all times. “Vedanta” is a combination of two words: Veda means “knowledge” and anta means “the end of” or “the goal of.” In the current context, the goal of knowledge means the knowledge of God as well as the knowledge of our own divine nature. Vedanta, thereby, is both the search for Self-knowledge and the search for God leading to their attainment in one’s life. • Practical: Its principles can be applied to solve the problems of day-to-day life. The basic principles of this ideology are given below. One of the important discoveries made in ancient India was that the universe arises from and is sustained by infinite consciousness called Brahman. It has both impersonal and personal aspects. The personal aspect is known by different names, such as God, Ishvar, Jehovah and so on. Realization of this Ultimate Reality is the true goal of life, for that alone can give us everlasting fulfilment and peace. Brahman is immanent in all beings as the Atman which is man’s true self and source of all happiness. But owing to ignorance, a person identifies oneself with his/her body and mind and runs after sense pleasures. This is the cause of all evil and suffering. As ignorance is removed, the Atman manifests itself more and more. This manifestation of potential divinity is the essence of true religion. The removal of ignorance or manifestation of inner divinity leading to God realization is achieved through Yoga. There are four main Yogas: Jnana Yoga (Yoga of Knowledge); Bhakti Yoga (Yoga of Devotion); Raja Yoga (Yoga of Meditation); Karma Yoga (Yoga of Work). Each Yoga is an independent means of realizing God. But since each Yoga involves the cultivation of one of the faculties such as reason, feeling or will, a combination of all the four Yogas is necessary for the development of a balanced, ‘fully functioning’ personality. It is this synthesis of Yogas that Swami Vivekananda regarded as the ideal of Ramakrishna Math and Mission. This ideal finds expression in the EMBLEM of the twin organizations shown here, which was designed by Swamiji himself. In the emblem the wavy waters represent Karma Yoga; the lotus flower represents Bhakti Yoga; the rising sun represents Jnana Yoga; the coiled serpent represents Raja Yoga; and the Swan represents the Supreme Self. The meaning of the ensemble is: by the combined practice of all the four Yogas the Supreme Self is realized. According to Swami Vivekananda, weakness is the main cause of immorality, evil and suffering in life, and the cause of weakness is ignorance about one’s true nature as the Atman. Knowledge of the Atman gives us tremendous strength to overcome our weakness and lead a virtuous life. Everyone is endowed with so many potentialities, but owing to fear and weakness, most of these potentialities remain unactualized. When, through knowledge of the Atman, fear and weakness are overcome, these potentialities manifest themselves. Swamiji called this process ‘man-making education’. Although the idea that ‘one Reality is known by different names’ (Rig Veda) and the idea that ‘different spiritual paths lead to the same goal’ (Gita) are found in the Hindu scriptures and in the teachings of several Hindu saints, Sri Ramakrishna was the first person in history to show through direct experience the transcendental unity of all religions. His message implies two kinds of religious harmony: harmony within Hinduism and harmony among world religions. Sri Ramakrishna did not identify himself with any particular sect of Hinduism but accepted Hinduism as a whole. He showed that Dualism, Non‑dualism and other schools of Hindu philosophy represent different stages of the integral experience of Reality, and that the various Hindu deities are different aspects of one supreme Godhead. His message has brought about a great deal of harmony among the Hindu sects. 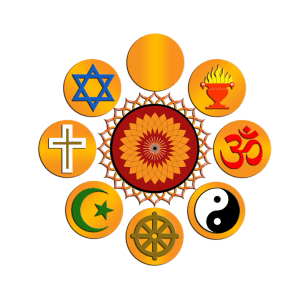 It should be noted that Sri Ramakrishna recognized the differences among religions but showed that, in spite of these differences, they lead to the same Ultimate Goal. This is the meaning of his famous maxim, Yato mat, tato path, “As many faiths, so many paths”. Vedanta has something to offer to people who describe themselves as “spiritual, but not religious” or as “analytical/scientific” rather than “faithful”. Raja Yoga of Vedanta is a purely scientific technique and no faith on any Godhead or deity, or dogma or doctrine is required. According to the Hindu religious tradition, God incarnates himself as the Avatar in every Age in order to give a new message to humanity suited to the needs of each Age. In the Ramakrishna Movement, Sri Ramakrishna is adored as the Avatar of the Modern Age. What this means is that his life and teachings have opened a new way of salvation for humanity. The uniqueness of Sri Ramakrishna’s Avatarhood is that it embodies the spiritual consciousness of earlier Avatars and prophets, including those who are outside the Hindu fold, and is in harmony with all religious traditions. In all the institutions of the Ramakrishna Order, worshipful reverence is shown to all Avatars and the founders of all religions. • According to Vedanta, the physical universe is a manifestation of God known as Virat. Hence, as Sister Nivedita has stated, there is ‘no distinction between the sacred and the secular’. What this statement means is that all work is sacred. Even so-called menial work such as sweeping the floor or mending shoes is to be done with as much attention and devotion as work in the shrine. • The Gita (18.46 & 9.24) states that the all-pervading God is the ultimate source of all work and the enjoyer of the fruits of all sacrifice. Hence all work is to be done as worship and the fruits of actions are to be offered to the Lord. • One of the important principles Swami Vivekananda learned from his Master was Shiva Jnane Jiva Seva, ‘to serve Jiva as Shiva’. Since man is potentially Divine, service to man is indeed service to God. Instead of looking upon a needy person as an object of pity, he is looked upon as an object of worship. Such an attitude elevates both the giver and the recipient. • Swami Vivekananda was the first religious leader in India to speak for the poor and the downtrodden and to state boldly, ‘He who sees Shiva in the poor, in the weak and the diseased, really worships Shiva; and … with him Shiva is more pleased than with the man who sees Him only in temples.’ It was Swamiji who coined the word daridra-narayana to refer to the poor. Swamiji’s love and concern for the poor continues as a directive principle in Ramakrishna Mission’s service programs. • When work, any work, is done fulfilling the above conditions, it becomes a spiritual discipline: the mind gets purified and the potential Divinity of the soul manifests itself more and more. Thus work done as worshipful service benefits the doer himself spiritually: it becomes a spiritual discipline or Yoga. It is with this understanding of work as a spiritual discipline (Karma Yoga) that all the service activities of the Ramakrishna Mission, such as giving food and clothing to the poor, nursing the sick etc, are undertaken. Thus service done as worship of God in man helps in two ways: it helps physically or mentally the person who is served, and it helps spiritually the person who serves. आत्मनो मोक्षार्थं जगत् हिताय च (ātmano mokṣārthaṃ jagat hitāya ca), ‘For one’s own salvation and for the welfare of the world’, formulated by Swami Vivekananda.